This was a huge opportunity for Chastain. The 25-year-old driver is currently battling for a NASCAR Xfinity Series championship. He sits at the bottom of the 12 driver playoff cut line, with zero wins. The green flag dropped and Chastain was racing to win. He fought off an early charge from Christopher Bell and Daniel Hemric. Chastain went on to win stage one and stage two. However, Harvick and Keselowski were coming through the field. Brad Keselowski got to his rear bumper and got him loose. Keselowski threw a slider, clearing him by 5 car lengths into turn 3. However, by doing that, all of the corner exit speed was sacrificed. Chastain crossed under him off turn 4 and retook the lead. Harvick moved into 2nd and it was his turn to take a shot at the leader. Harvick looked to the inside in turn 3. There was a lap car running on the high side just ahead. Chastain pinched to the middle as they ran 3 wide with the lap car. Chastain was on the right rear of Harvick has he pulled back even with him heading into turn 2. It’s all but impossible to run side by side off turn two. 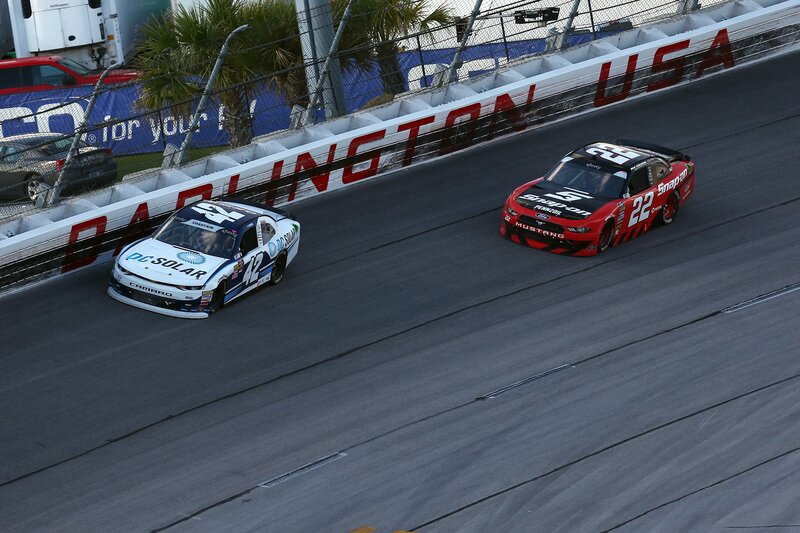 However, Harvick and Chastain were side by side for the race lead. Harvick was all the way on the inside line, any lower and he’s on the apron. 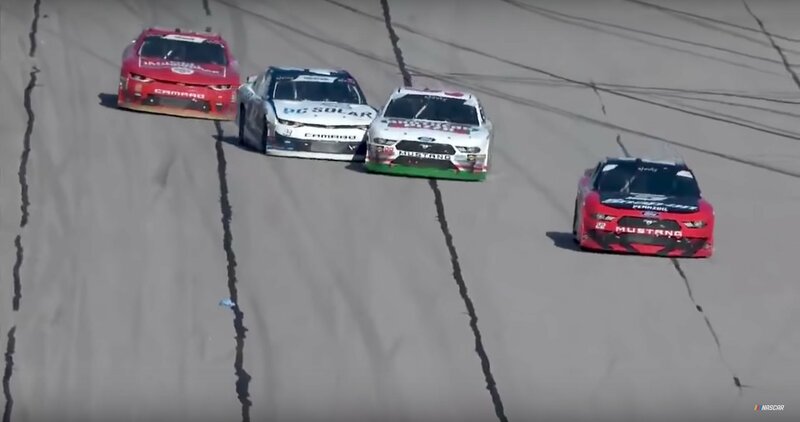 Chastain was leaning on the right side of Harvick. Each driver was doing all they could to take the lead and avoid a crash. But, you still can’t run side by side off turn 2. Harvick got loose on the bottom. The backend skated up the hill and he pushed Chastain into the wall. Both cars received heavy damage. As the cars bounced off the wall, Chastain painted a bullseye on the right rear quarter panel down the back stretch. Chastain turned Harvick in front of the field. 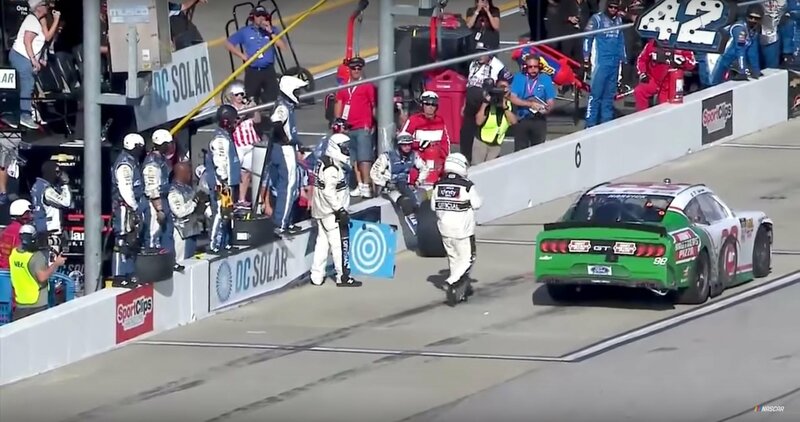 Harvick drove to pit lane and parked in the pit box for Ross Chastain as he let down the window net. After a few seconds he drove it to the garage area. Chastain then made several visits to the pit lane as it opened. Harvick was quick to blame a lack of experience. However, he’s also a NASCAR Cup Series driver running an Xfinity Series event. Those drivers are still in school. “I tried to stay as low as I could. He just rode on my door,” Harvick told NBS Sports after the incident. “There were lapped cars, there was a lot going on. I’ve never been in that situation but I trust the guys I’m racing around,” he said. “Nobody belongs here. I think we are all very fortunate to get this opportunity. No matter what, I’ll never forget this. I’ll never forget the peaks and valleys of this weekend. I left final practice pretty dejected and my guys just reminded me to just drive the car. Chastain was also asked if the contact with Harvick after making contact with the wall was intentional. It was, we don’t need to ask Chastain. 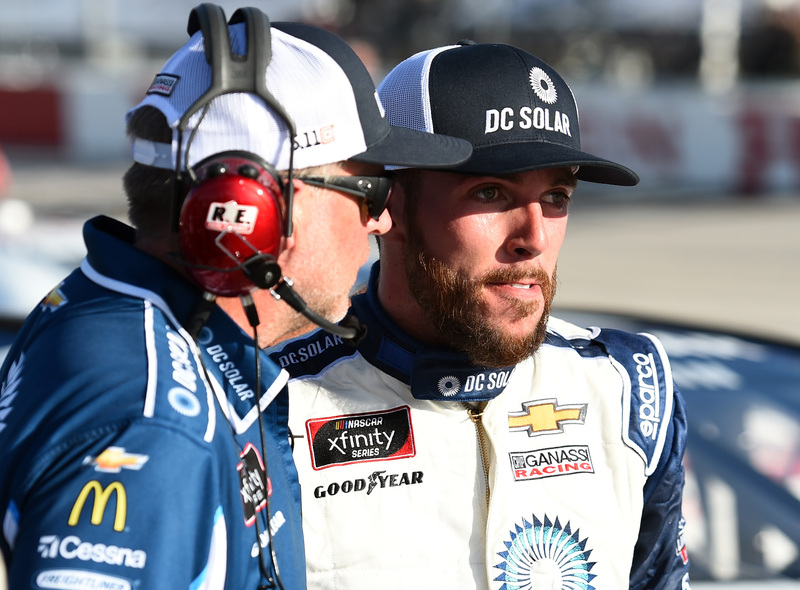 Chastain is now 11th in NASCAR Xfinity Series points. He sits +54 points ahead of the cut line. From here, Ross Chastain will return to the #4 machine fielded by JD Motorsports. He does have two more races lined up with CGR. He will return to the #42 at Las Vegas Motor Speedway and Richmond Raceway.